Reuse Waste Tires!Reuse Waste Tires!Recycle Your Old TV!Recycle Your Old TV! It’s interesting that you mentioned how used oil can be indefinitely used over and over again by recycling it. That seems to be awesome! I’d be sure to have ours gathered and recycled once it fills a bucket or two. It would be better for the oil to be used again rather than seeping into the ground and poisoning us all. 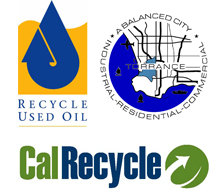 Thanks for the informative article on why one should recycle their used oils!